1. 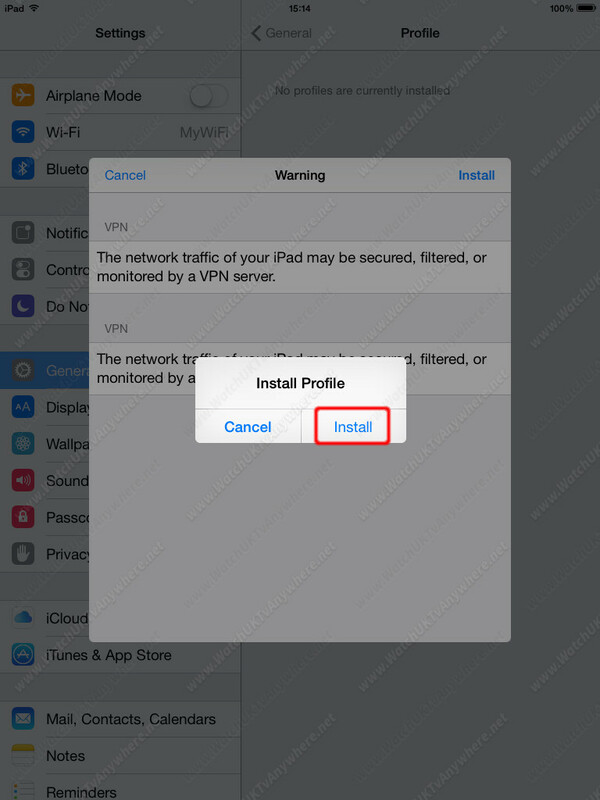 Download your Configuration Profile. 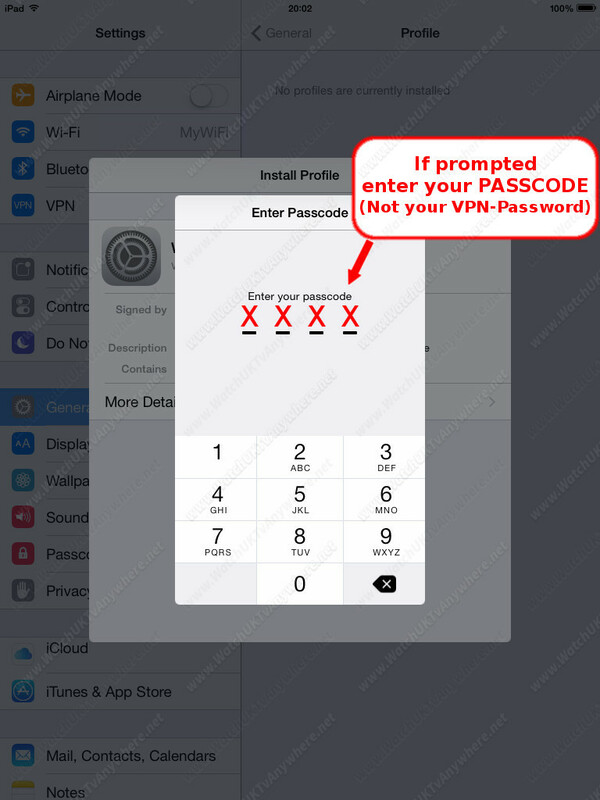 Note that Passcode is set by you to protect your device, and it is NOT your VPN-Password code. Passcode is usually requested when unlocking your device. 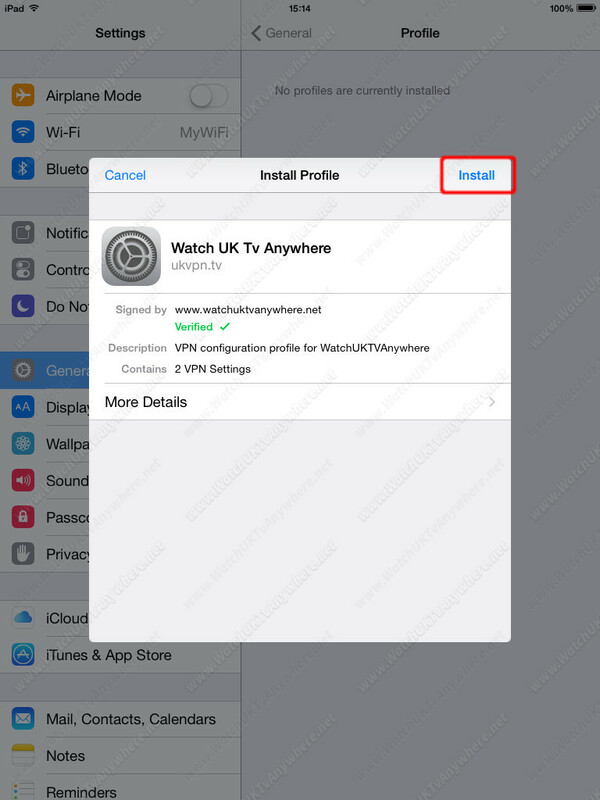 Check Settings/Passcode to turn off/on passcode. 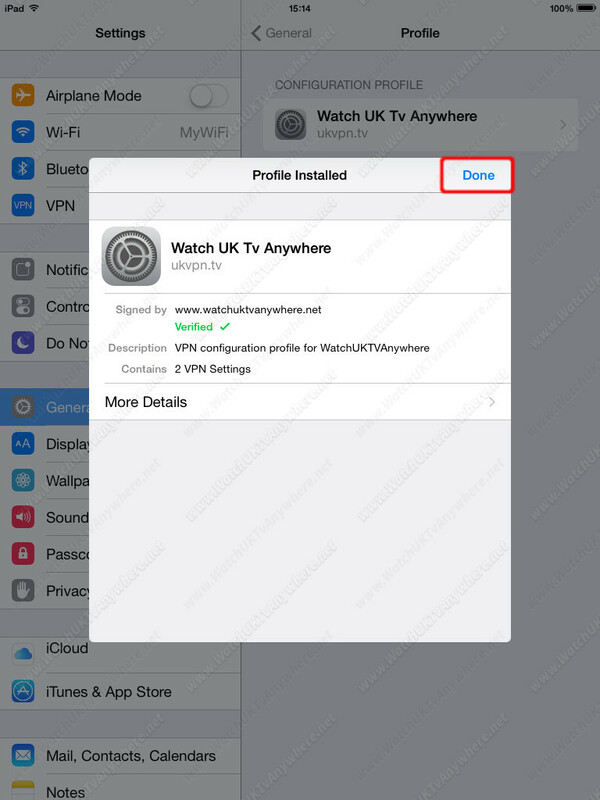 Once VPN is connected, simply load up the UK TV app of your choice if you have already downloaded the apps. 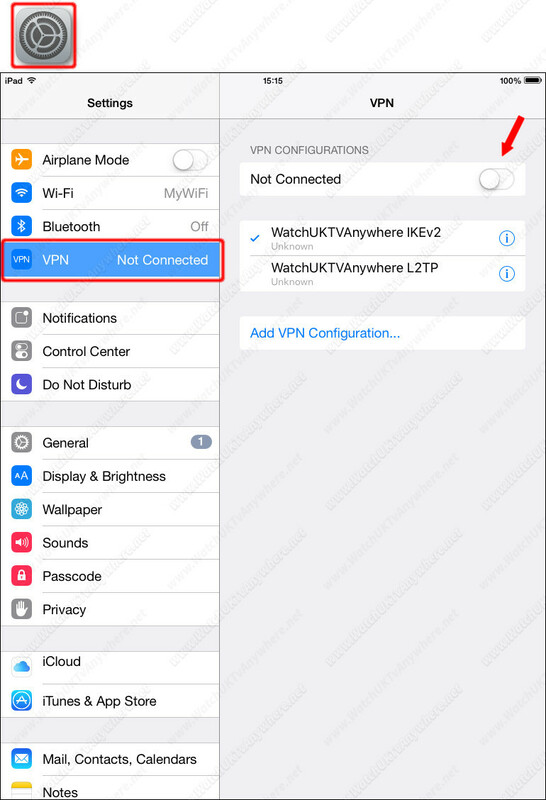 When your finished watching open Settings / VPN and slide the Connection On/Off switch to Off. Problems connecting? 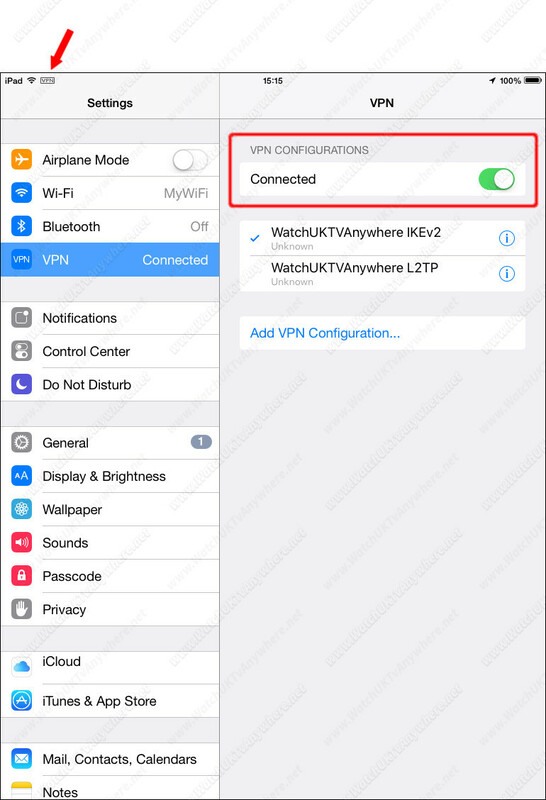 – Try both vpn connections: IKEv2 and L2TP.